Ovral L is an oral type of birth control with estrogen and progestin synthetic hormones in low dose. If you wish to not become pregnant, and still enjoy your sexual life, then this is the right contraceptive. You must take a pill every day at same time as per the 21 or 28 day course indications. 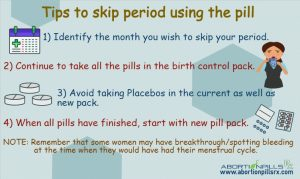 At the end of which, bleeding will start, and a new kit have to be taken from the 29th day to prevent pregnancy ahead. The medicine does not allow you getting pregnant by jamming ovulation, fertilization, and breaking of uterine lining, which stops implantation. It is suitable for every woman, and used by millions of females in the world. Ovral L prevents pregnancy by stopping ovulation (release of mature eggs from ovaries), and thickening of cervix to deter sperms meeting eggs. With fertilization prohibited, the medication alters uterine lining and does not cause implantation. As uterus endometrial breaks, the embryo cannot be held. Birth control tablets for 21 days- Take one pill orally with water, daily on same time. Start new Ovral L kit from 29th day. 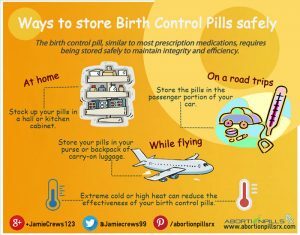 Between 22nd and 28th day, do not take contraceptive tablets. In 28 day regimen, use 21 tablets as per mentioned format. From 22nd to 28th day, intake inert tablets, one pill every day. After course of Ovral L tablets end, the female will experience a period-like bleeding, which is termed as withdrawal bleeding. It is like menses, and is an intended effect of the medicines. The period may be lighter of heavier. Even if the bleeding continues after 29 days, begin a new kit to curtail pregnancy. Some of the consequences to Ovral L are diarrhea, nausea, breakthrough bleeding, headache, mood swings, spotting, abdomen pain etc. It is rare that users would encounter any side effects. These are tolerable and harmless for women. Do not use Ovral L in case of disorders linked to kidney/liver/heart/blood system. Avoid the medicine if allergic to its components, or have diabetes. Limit alcohol drinking and smoking, as these may lower productivity of the medicine. Do not take the contraceptive if diagnosed with carcinoma of uterine endometrial, breasts etc. Look for alternate birth control remedy in case suffering from systemic lupus erythematosus, have past medical condition related to stroke/heart attack. Avoid the drug in case of thromboembolic and lipid disorders. Store the medicine in dry or cool area. Do not share the product with non-users or children. Ovral L - Who can buy? Females who are adult and of at least 18 years of age, not with suspected pregnancy or not pregnant, can purchase Ovral G. We do not offer the medications to women below 18 years of age. 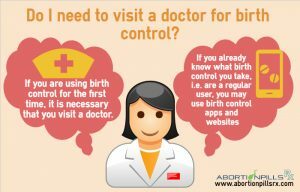 Those with health issues must consult healthcare provider before getting any birth control therapy.